Gallup Hillary Clinton poll speaks to the dumbing down of the electorate. The most common answer to a question about the biggest drawback to a Hillary Clinton presidency is that she’s “unqualified,” despite her experience as first lady, senator, and secretary of state. Earlier this month, Gallup pollsters called up 1,024 American adults and asked them, supposing that she attained the White House in 2016, to name “the best or most positive thing about a Hillary Clinton presidency.” The largest group, 18 percent, said the most enticing part of this hypothetical was the fact that Clinton would make history as the first female president. 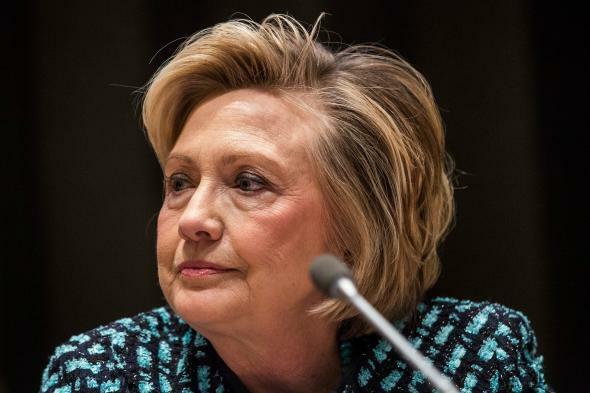 Just under 10 percent were taken with her foreign policy experience, and 8 percent liked the idea that she would break with the failures of the Bush and Obama administrations. Because every yin has its yang, the second question asked people to choose “the worst or most negative thing about a Hillary Clinton presidency.” Tied for first place at 6 percent were the notion that Clinton would only defibrillate Obama’s lusterless policies and the opinion that she is “unqualified.” Four percent said the worst part of a Clinton White House would be that she is a Democrat, which is very sophisticated thinking on the part of the respondents, and another 4 percent said they simply didn’t want a female president. I’m not sure how enlightening these results are. Instead of telling us what percentage of Americans hold the various attitudes—that Clinton is deceitful, for instance, or that a woman should not helm the ship of state—they only reveal how many respondents view such factors as the best or worst thing about her as a candidate. I can imagine very few people admitting (to themselves or to a stranger on the phone) that their No. 1 problem with Clinton is that she aspires to lead the free world while in possession of ovaries. (To be fair, this probably isn’t even the biggest reason most of her detractors dislike her.) But that doesn’t mean her ovaries aren’t in play. For some, Clinton’s gender may contribute to a nebulous sense of unease about her suitability as president; no wonder a more popular reservation than “AHH!!!! SHE-POTUS!!!! !” seems to be that Clinton is “unqualified,” despite her experience as secretary of state, senator, and first lady. In the same way, I can imagine, as the Atlantic’s David A. Graham does, commentators looking at the 18 percent figure and entering rage-spirals that people might elect Clinton just because she’s a woman. But even Clinton’s most ardent fans must concede that the shattering of a centuries-old glass ceiling would represent a highlight of her presidency. That doesn’t mean she’s not shrewd or experienced or that her policies are bad. For that matter, making history doesn’t necessarily outweigh the negatives—which include Clinton’s (some would say disingenuous) support for an immensely costly and painful war in Iraq. A little less than half of Americans did not give a substantive answer in response to the positive question, and about the same percentage didn’t give a substantive answer to the negative question. This is in large part because the majority of Republicans have no specific thoughts about the best thing about a Clinton presidency, and a majority of Democrats do not have specific responses to the question about the worst aspects of a Clinton presidency. In other words, a lot of Republicans cannot dream up a single upside to having Hillary Clinton in the White House, and a lot of Democrats cannot fathom a single drawback. Step up your game, electorate!